Zagori, is a region and a municipality in the Pindus mountains in Epirus, in northwestern Greece. The seat of the municipality is the village Asprangeloi. It has an area of some 1,000 square kilometers and contains 46 villages known as Zagori villages, and is in the shape of an upturned equilateral triangle. Ioannina, the provincial capital, is at the southern point of the triangle, while the south-western side is formed by Mount Mitsikeli. The Aoos river running north of Mt Tymphe forms the northern boundary, while the south-eastern side runs along the Varda river to Mount Mavrovouni near Metsovo. The municipality has an area of 989.796 km2. The population of the area is about 3,700, which gives a population density of 4 inhabitants per square kilometer, very sparse when compared to an average of 73.8 for Greece as a whole. Zagori is an area of great natural beauty, with striking geology and two National Parks, one including the river Aoos and the Vikos Gorge, the other around Valia Kalda, to the east of the imposing snow-capped Mt Tymphe. 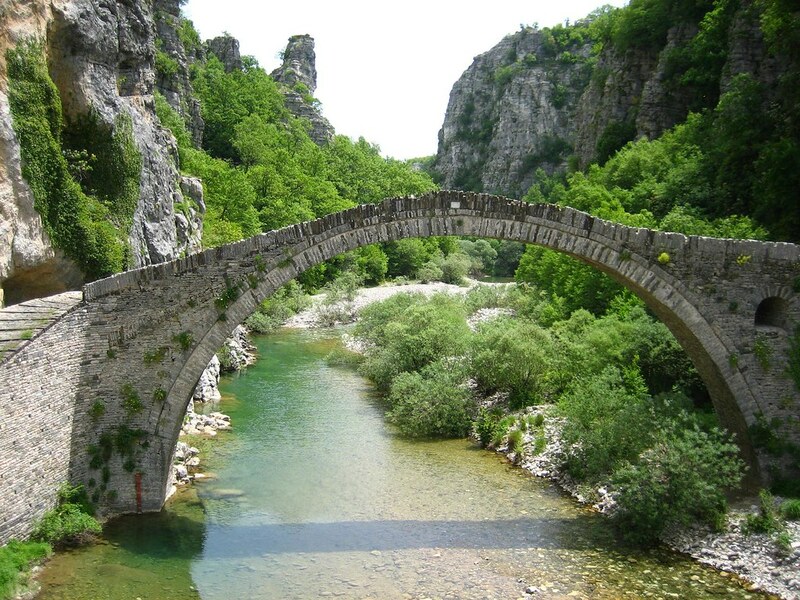 The 46 or so villages of Zagori were interconnected by mountain roads and traditional arched stone bridges until modern roads were opened in the 1950s. The stone arched bridges were built by benefactions from expatriate merchants in the 18th century and replaced older wooden bridges. The blue markers shows the location of various accommodations in Papingo. The letter in the marker describes the accommodation types: H for Hotel, A for Apartment, R for Resort, B for Bed & Breakfast and O for Other (e.g. pension, villa). Click on the blue marker for more information on the accommodation.